Don't let the marbles fall. Kerplunk is a blast from the past with a cool look and attitude! 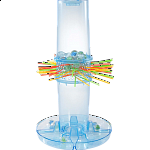 The object of the game is to skillfully remove the sticks from the tube while dropping the fewest marbles possible. The straws are passed through holes midway of the tube to form a lattice "web.” The marbles are then placed in the top of the tube and held in place by the web. 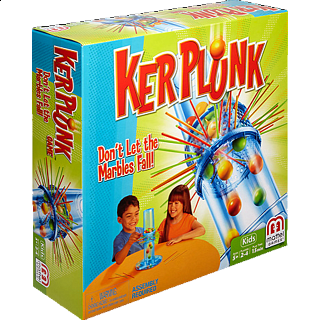 Just set it up, start playing and watch out for marbles that go “Kerplunk” The players must use steady hands and a cool head to remove the sticks from below the marbles. This best game from yester-year is just as much fun today! Share your great memories or start new ones! 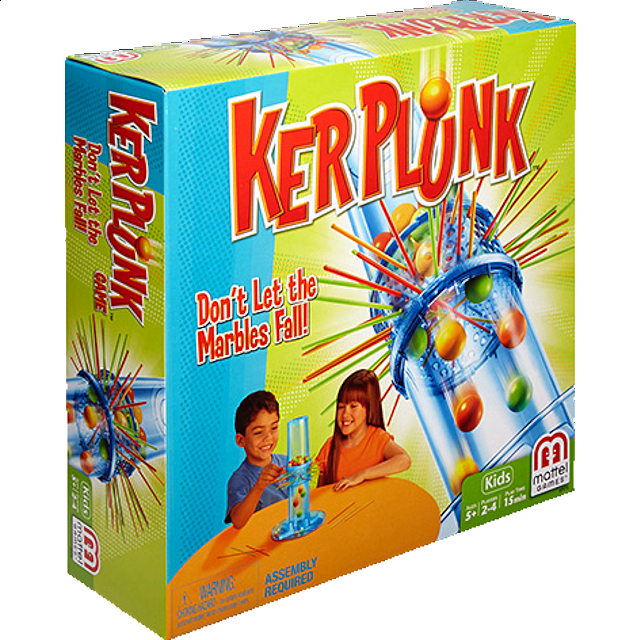 You and your friends will have a blast playing Kerplunk, just don’t let the marbles fall!